From @CreativeSharka: CHIBI CONTEST "...Which @adamlambert song is your favorite?..." Which @adamlambert song is your favorite? I will randomly pick winner. Good luck guys. 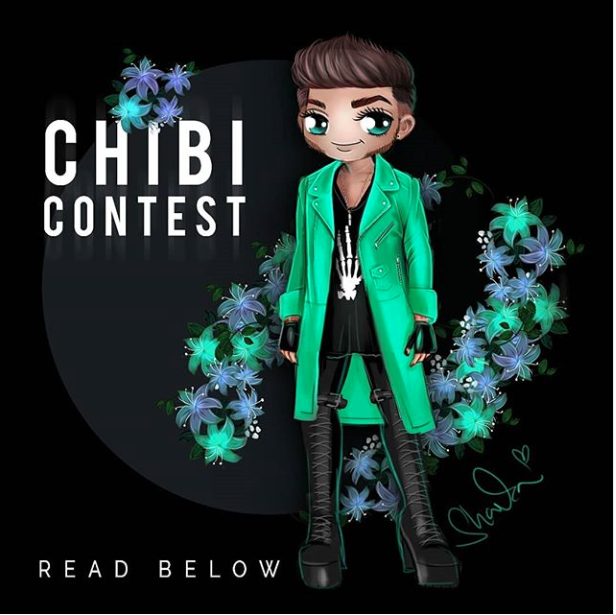 #adamlambert #adamlambert_chibies"
I love Adam wearing this green in this chibi! Thanks CreativeSharka. Unfortunately, I'm not able to choose one fave song - I have so many faves!!! I love For Your Entertainment. It has a real catchy beat. ADAM looks good in green ... LOVE this chibi with fingers .. my favorite two songs are Outlaws of Love & There I Said It ... both songs relate to ADAM .. IMO!! Sharka .. YOU ROCK!! Good job hon!! I can't narrow down my favorite songs. I do love Runnin and Underneath and If I Had You, The Light, After Hours, ugh I could go on and on! Too many songs to choose.